ItemI-52079 - "Photograph no. R.P. 386, Ruskin development, view of the inside of the penstock, showing the butterfly valve partly open". ItemI-52080 - "Photograph no. R.P. 136, Ruskin development, view of powerhouse site, taken from the east side showing upper end of draft tubes". ItemI-52074 - "Photograph no. R.P. 312, Ruskin development, general view showing the powerhouse, high tension switching station and railway bridge". ItemI-52004 - "Main shaft under no. 3, generator, no. 3 plant, W.K.P.and L. Company", no. 5; print title. ItemI-52005 - "Switchboard, No. 3 plant, generator room, W.K.P. and L. Company", No. 8. ItemI-52006 - "Switch-house, lower floor, no. 3 plant, W.K.P. and L. Company", no. 10; print title. ItemI-52007 - "Switch-house, upper floor, no. 3 plant, W.K.P. and L. Company", no. 11; print title. ItemI-52008 - "Interior of no. 3 plant, W.K.P. and L. Company", no. 12; print title. ItemI-52002 - "Lower floor, no. 3 plant W.K.P. and L. Company", no. 3; print title. Item I-52005 - "Switchboard, No. 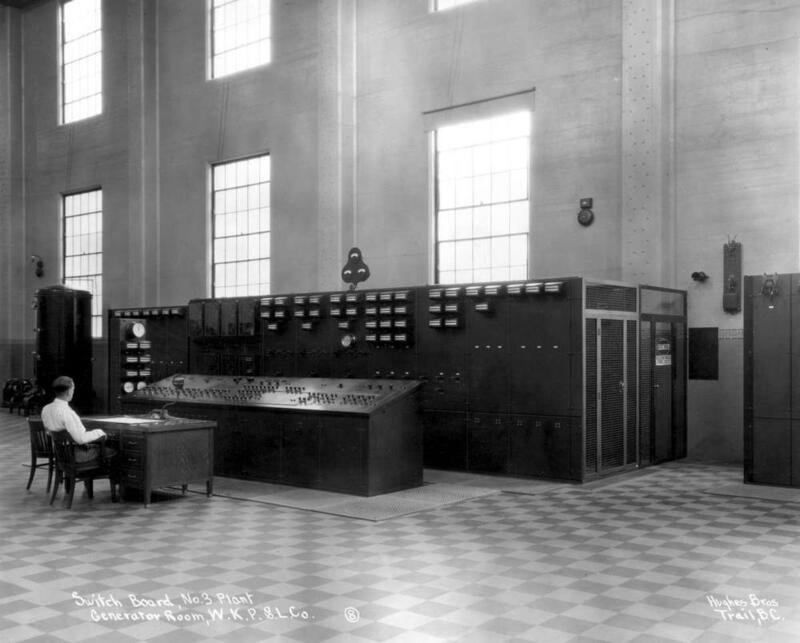 3 plant, generator room, W.K.P. and L. Company", No. 8. "Switchboard, No. 3 plant, generator room, W.K.P. and L. Company", No. 8.